I got to visit a few of my original paintings a few weeks ago when I visited a customer/friend’s home with some framing. 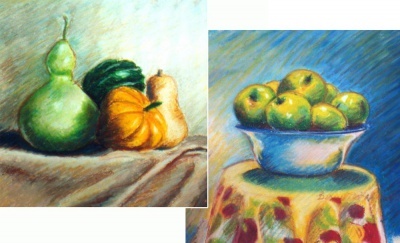 These two paintings are “Squashes” and “Green Apples” painted in oil pastel back when I was first experimenting with them almost 20 years ago. It’s always interesting to see earlier works and framing choices too. 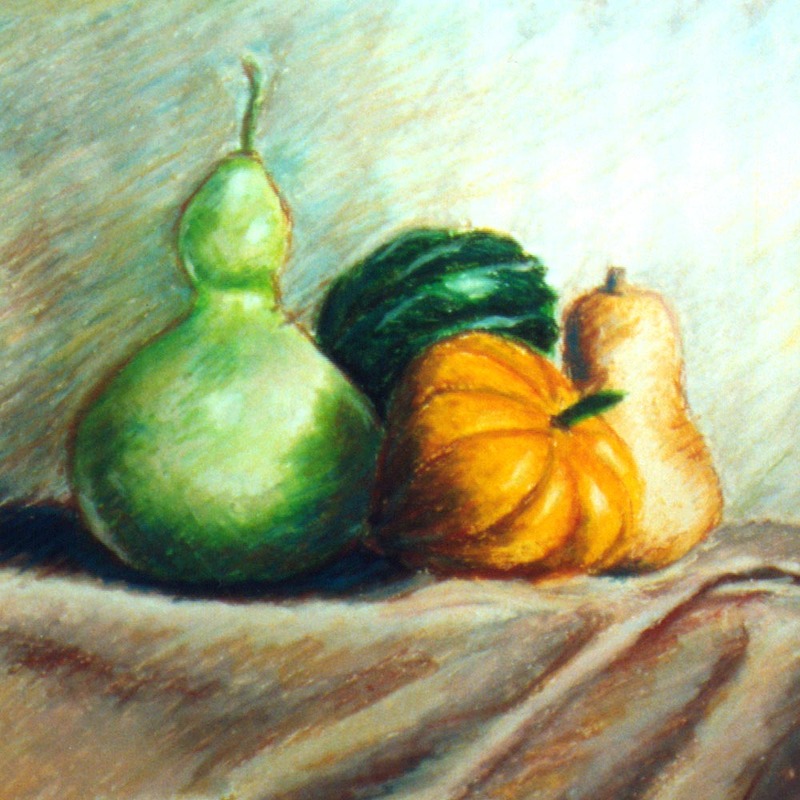 I was new to oil pastel when I did these paintings. but was determined to make something of it. Before “Green Apples” they felt like crayons and I never thought I’d get used to them, being so accustomed to chalk pastels. But it was the very differences that kept drawing me back—the brilliance of the colors, the quickness of a sketch, the ability to create “impasto”, or an actual thickness of the medium on the paper seen most often in oil paintings. 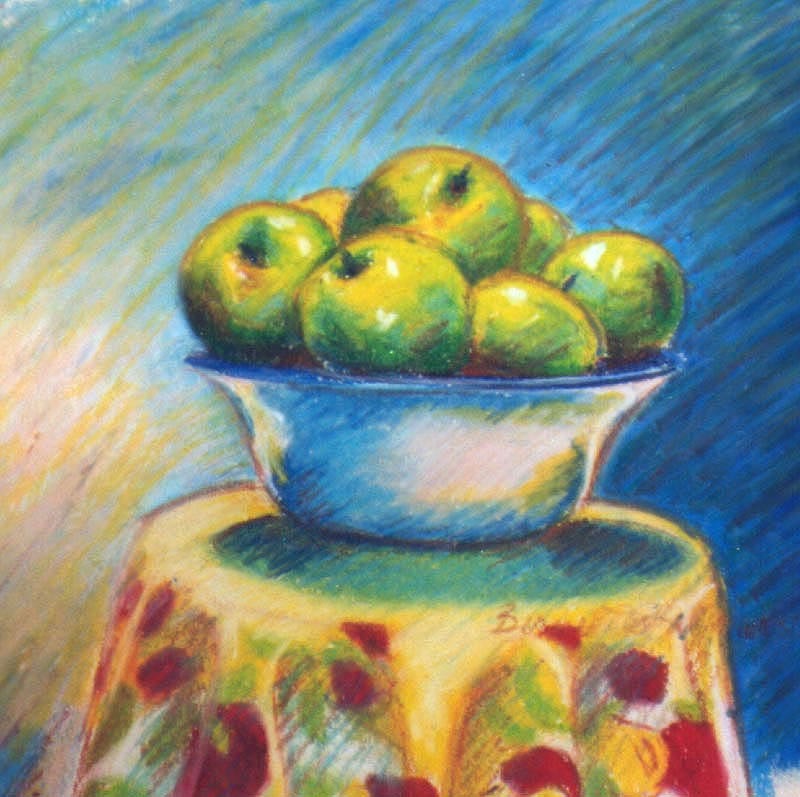 My Granny Smiths were politely piled in their bowl, unaware that they were providing a great inspiration for me to do my first still life, and to do it in oil pastel as an experiment. I chose one of my favorite colorful 1940s cotton tablecloths featuring lemons and raspberries to drape over the little round table. 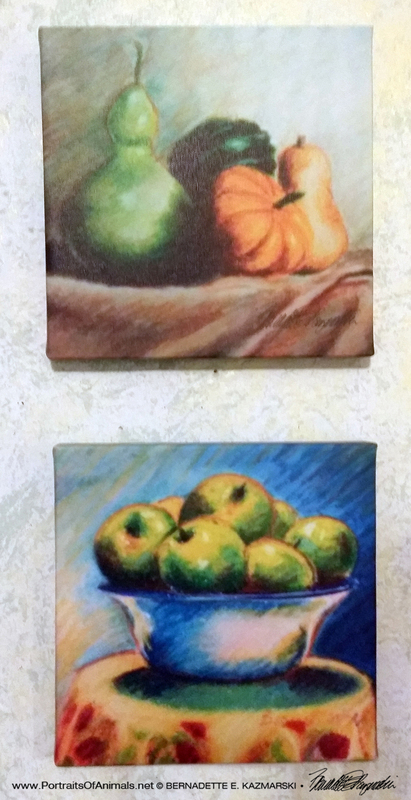 I often sell prints and canvases of Green Apples and Squashes as a set, like the canvases shown above—please ask if you are interested. 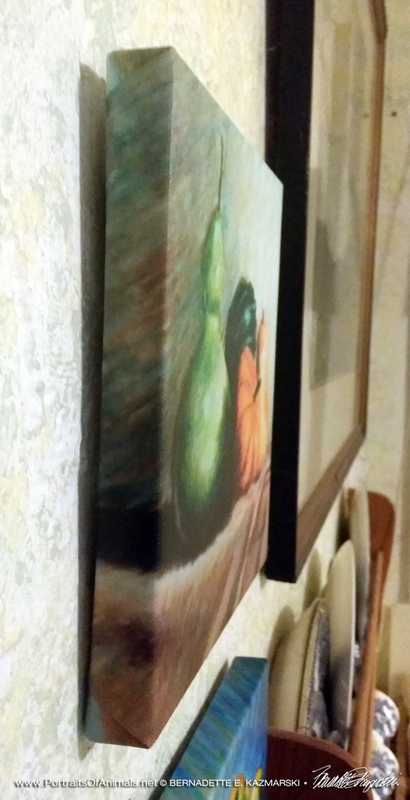 Prints are made in archival inks on Epson Matte Art Paper, Cold Press Digital Giclee Paper or Artist Canvas.